Yes…that is correct. The best way to treat your oily skin is to use…oil! What?! Are you crazy? I am trying to get RID of the oil. NOT add more oil to my already oily skin! I won’t do it! Ahhh…but you should. And here is why! Your skin produces oil to protect and moisturize as well as clean itself. With out the sebum that is produced by the sebaceous glands, our largest organ would not function properly. 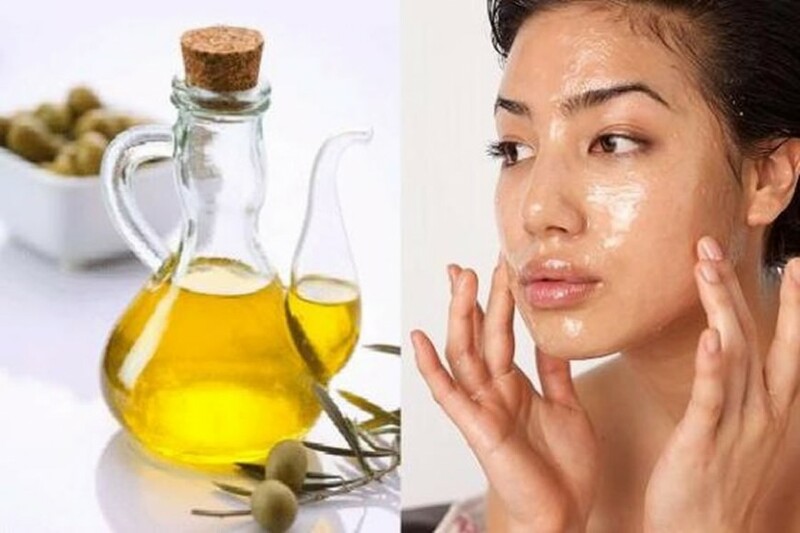 What we have traditionally done throughout the years, especially those of us with oily skin, is use harsh cleansers and astringents to strip away the oils. So when we go and use these harsh detergents and soaps and strip away our naturally occuring sebum, the skin goes into overdrive and produces even MORE oil to replace and compensate the oil that has been removed. But my skin feels so icky and tacky and I have dirt all on my skin. How is putting more oil on top of the oil that is there make it any better? Basic chemistry lesson…like dissolves like. Meaning, oil will dissolve oil. It will also clean and replace. So instead of taking that harsh astringent or detergent to remove dirt from your face, take a cotton ball, dipped in oil, and clean your skin. The fresh, clean oil will dissolve the dirty, old oil and replace it with clean oil. Castor oil, which is very antibacterial, is the best oil to use for cleaning your skin. But Castor oil can be overly cleansing and may actually cause your skin to dry out, so you want to dilute it with another oil. An oil that is lighter in weight and not as strong in cleansing as Castor oil. Here comes Jojoba oil (my personal choice). This oil is the BEST oil to use. Jojoba is actually a liquid wax. Much like the sebum that our own skin produces. When it comes to cleaning and replacing the oil on your skin, Jojoba is the best oil to use as it is the only vegetable oil that closely matches human sebum. The following is a list of oils that can be used with Castor oil to help with the cleaning and moisturizing regimen for your skin. You will also see which oils are good for the type of skin your have. Depending on your skin type, you are going to want to blend one or two of these oils with Castor oil to do your oil cleansing routine. Use the following ratios as guidelines, but keep mixing until you get the right combination for you. So I would recommend that you start with very small amounts at first until you get that perfect ratio! For Normal Skin equal parts Castor oil to any of the carrier oil. For Dry Skin you will do the reverse of Oily Skin and do 1 part Castor oil to 3 parts carrier oil. Now keep mixing until you get a comfortable ration. This is on the diluted end but you will know your own skin best and you can mix it up how you like. Just remember, the oilier the skin, the more Castor Oil you want in your formulation. The drier the skin, the less Castor Oil you want in your formulation. A quick note about using this method to cleanse the face. With the first several applications, you will see your face actually look a bit…worse. Meaning more breakouts and the sort. Do Not Worry! This is normal. I remember when I did this years ago…I used only Jojoba Oil. My face broke out and I was freaking out! But after a couple of days it cleared up. Why did this happen? Remember the cleansing action of the oils? What the oils do, especially Castor Oil, is break up the dirt and draw out the impurities in the skin. So while you are starting this method of treatment, you will notice a change in how your skin looks and how it feels as the oils pull out the dirt and impurities. But be strong! The clear, even balanced skin will shine through. How to use this method to clean the face! OF course you have now found your favorite blend and ration. CONGRATULATIONS! Now you will begin putting it to you on your skin. The best time of course to do this is at bedtime. 1. You have your dirty face! 2. Rinse lightly with warm water. 3. Take your oil blend and pouring some in the palm of your hand and gently massage into your face and skin in an upwards movement. Do this massage for about two minutes. You can let the oil sit on the skin for an extra 30 seconds to let the oil combination to penetrate your skin and remove the dirt and impurities. 4. Rinse with very warm water. Take your clean wash cloth and soak it in the warm to hot water. Make sure the water is not so hot that it burns the skin. 5. Wipe clean with the washcloth. You are finished! Remember, when you are first using this method of cleansing, your skin will react funny. It will take some time to get accustomed to and you may find that this is not the method for you. But if you do choose to use this method to clean your skin, you will notice a difference within a couple of weeks. Your skin will begin to balance out and you will see your problems slowly disappear. Now you can fight or clean your oily skin with…OIL! This is a great post! I just started using an oil on my face a few months ago. I was definitely worried about breaking out when I started. Fortunately, my skin didn’t break out and I love using my face oil! I know when I started my oil cleansing method I did suffer breakouts. I have oily skin so I was so scared as to the result. But after a few days, the breakout subsided and then it turned out quite alright. I will admit though, that it did take some getting used to and dedication to this regimen as well. Hi! Do you mean using a castor oil with lemon essential oil? Sure, but I would still recommend blending the castor oil with another oil. Jojoba is a great one to use with it. Very useful post. .thanks a lot. . I have also oily skin. I am going to start this procedure… bt I have a qus… is Sweet Almond oil , same with Bajaj Almond oil found in market for hair… planning to use (Castor oil + Almond oil)… Can I use Bajaj almond oil.????? Sorry for the very late reply. I am not familiar with the brand Bajaj Almond Oil. But I would try a combination of Castor, Almond and Jojoba (if available). Great post. I’ve had oily skin for ages and I’ve realized that using cleansers + benzoyl peroxide was not helping. Will this eventually stabilize skin oil production and not make me shine throughout the day? Thanks! Great question! In time, it should help with oil production. I also suffer from oily skin and this has helped in balancing out the overproduction. First of all, thanks so much for the reply! I see. I remember at one point my skin not being oily at all, and it suddenly becoming oily once I started using cleansers. I’m hoping this method returns me to the previous state. And I’m 7 days into oil cleansing and I’m noticing small white heads. Were these the type of breakouts that you saw? I’m wondering how long it would take for these to subside. Sorry for the late reply. Yes, you will see small whiteheads as it pushes out the impurities in the skin. Those are the same ones that I did see and after a day or two they also disappeared. Now, if they are hard or last longer, then I would strongly recommend you see a dermatologist.